hell yeah m140i just spins all its power away. why has fastest laps got no data on a m140i? lol a 1 seris interior is the most dated ever. golf r has more stable rear axle than a 140i. Bmw cryboys are crying as usual. IMO, I think this car need a 6.0L V12, Love the S8, One of my fav 4 door cars, But i never thought a V8 fit it properly. 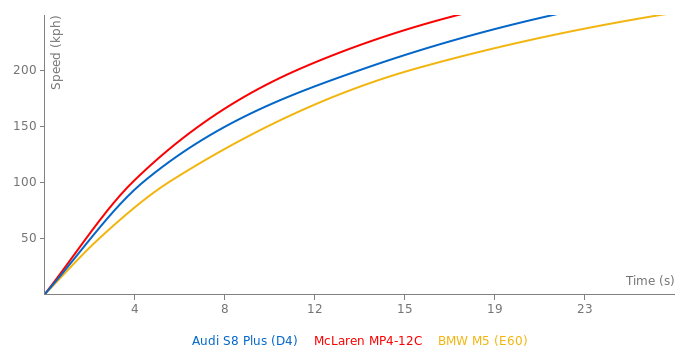 Curb weight of 2049 kg for the s8 plus from the auto motor und sport test. Nobody said that this is a sports car and it doesn't want to be a sports car. So much people still believe a car in excess of 2 ton weight with a powerful engine can be considered as a real sports car. Maybe in Russia? Definitely the opposite of my idea of what a sports car must be. I dont see it, When your average person here thinks about a luxurious car, Its always Mercedes THEN Bmw, Audi would barely even come up, Its more a communion car rather then outright luxury, Same with Volkswagen, Ive never herd Prestigious and w come together.. But i guess it depends where you are as each would make a different impact. The VW Passat W8 and the Phaeton haven't been sold here in the USA for a very long time. I guess VW doesn't want to be a luxury brand in America. Maybe VW is the Buick of Europe?? Lol ...And then Audi is to Cadillac just about everywhere you go! Audi, Mercedes, BMW, the big German trio. Of course they are status cars. The quintessential exec cars. Btw, in Europe VW badge is considered to be prestigious too. Ive never thought of Audis as much of a status car, Even the 8 Series, Maybe more today then a few years back, But the only car i thought was a true status car was the R8. Its great the cars are comfy and have speed, But i feel its a bit pointless. The rest of the world prefer ride comfort, craftmanship, aesthetics, etc. Someone sitting in the back of an A8 is not going to want to be thrashed around. And if that owner is wanting to drive something fast himself, he'd have a supercar. Its a status symbol car. Russians will love it! I don't understand what is the purpose of a such fast and heavy fridge. It's not 0-60 time or the max speed to make a car a sports car... but some manufacturers still ignore this! Exactly. The RS6/7 are already rivals with the E63 and E63 estate. I'm sure an S8 and a S400 will be similar prices? 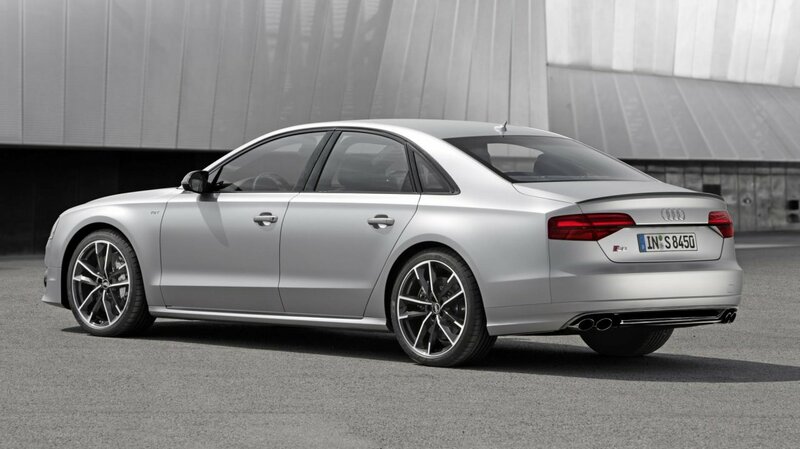 The S8 is all about speed and motor. The S class pwns the Audi in luxury, equipment and ride. .....lol Oops! I mean RS6 plus = E63S competitor, and RS7 plus = CLS63S. As I said, @saxy, I wouldn't exactly consider the A8 an S-class rival. An Audi S8 costs $114,900, and an AMG E63S costs $101,700 - both for 2016. For the S63, you need to step up to $143,250. You need only $95,650 for the S550. I feel the S8 (non-Plus)'s price is closer to the E63. 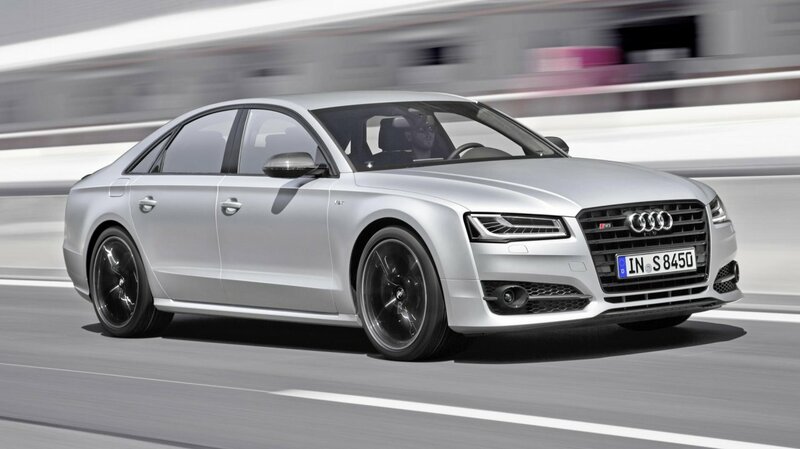 To avoid the odd A8-vs-E rivalry, the S8 would have to be an S550 rival. The plus version could step up to S63 territory. Take the engine from the CLS63-rivaling RS7 and swap it into an S6, call it an RS6 and you get a true E63 rival. Add more tech and racing supplies, call it an RS6 plus = E63 competitor. I'm not talking about the RS6 Avant but the Saloon. Btw: half $95,650 (MB S550) & half $143,250 (AMG S63) = $119,450. The Audi S8 needs an almost-$5,000 increase in MSRP to compete with the AMG. Pretty much most things we take for granted in cars today first came from an S-class. Definitely, In terms of pure luxury, Or brand imaging, MB is way ahead of damn near all the competition, Including Audi. Although i take luxury with a grain of salt, Ill use the "Normal" conscious of luxury marques. An S Class Benz outclasses an 8 series Audi, And pretty much every other luxury saloon, Its more expensive in every segment, But if thats what you want thats what you get.